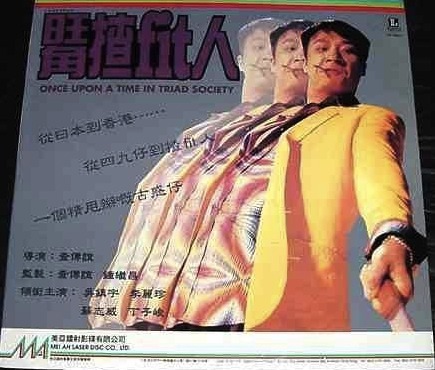 I've been trying to get hold of the laserdisc of Cha Chuen Yee's Once Upon A Time In Triad Society for a such long time, and I finally managed to pick it up. The film remains unavailable on dvd in Hong Kong and while a dvd is/was available on dvd in Malaysia, I'm happy to make my upgrade from my VCD to laserdisc. 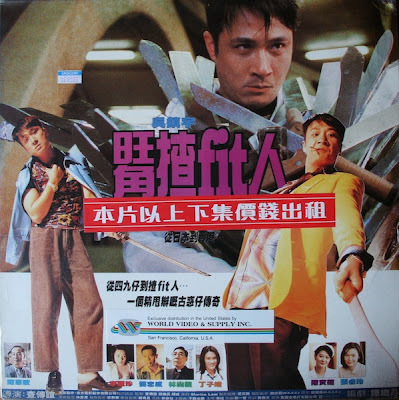 This is the US import from World Video and features a different cover to the Mei Ah Hong Kong release, pictured below. Although the World cover is more chaotic than the Mei Ah one, I prefer it as the chaos of it is more in tone with the film itself. 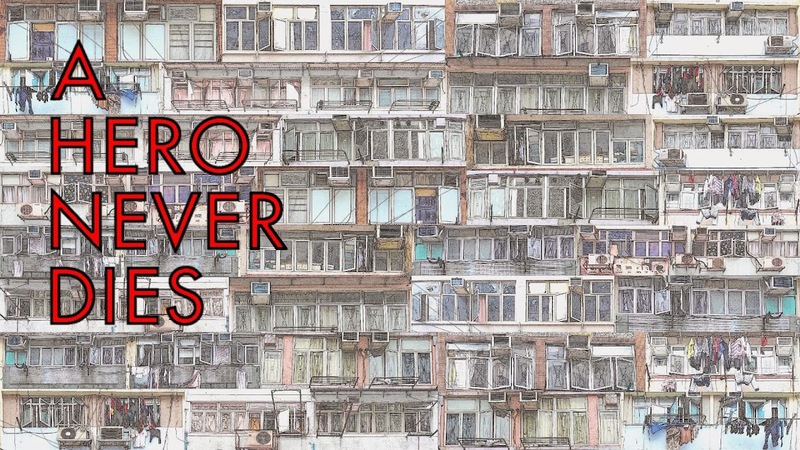 Below is the back cover of the World release, which continues in a similar vein. Just need to pick up the sequel now.